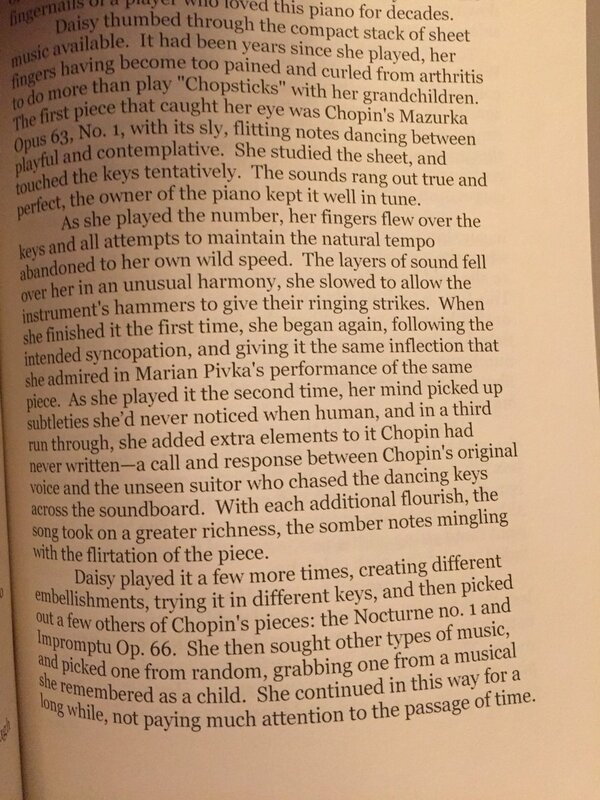 Last night, thanks to a conversation on Twitter about favorite classical pieces, I discovered an error in Perdition that undid an entire page of the book. You see, my favorite Chopin CD contains a misprint. While Marian Pivka plays Mazurka, Op.63 no.3, the CD liner states it’s no.1. The two pieces are noticeably different in character, and the choice in music not only matters to the description of the song, but also to Daisy’s personality, as well. Though seemingly a small mistake, forgetting to exchange a 3 for a 1 can prove disastrous both to this moment in the Queen’s cottage, but also to any mathematical equation. To hear the entire Perdition soundtrack while you read, visit my YouTube channel.